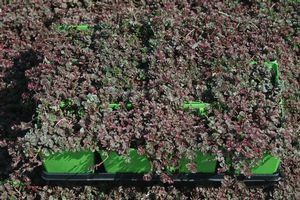 Tiny white and green leaves with a pink edge on this fast-growing ground cover spread quickly, love heat and bright sunshine, and stay attractive all summer. September brings the soft pink, almost white, flowers that hug the foliage at not more than 4-6”. New leaf clusters look like tiny rosettes. 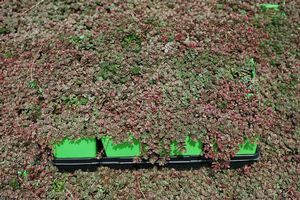 A charming, but tough-as-nails Sedum. 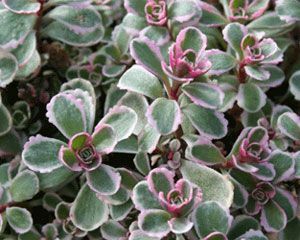 Grow in well-drained soil and be wary of over watering and water logging, which occurs when water has no space to drain from the roots of the plant.